Where weddings meet the luxury yachting industry. The sophistication of the world's most luxurious industry- yachting- can now act as a wedding venue and honeymoon escape to the right client. 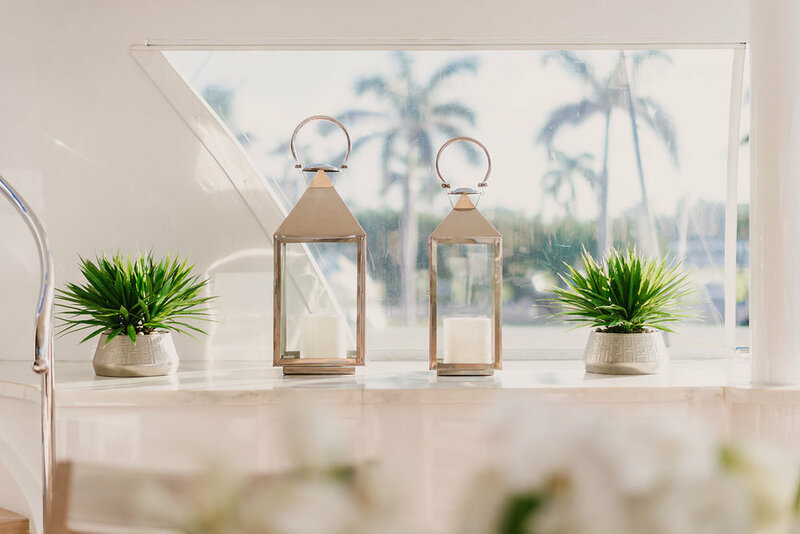 With extensive experience working on board yachts as a chief stewardess on both private and charter vessels, the owner of Blue Orchid Events, a South Florida based wedding planning firm, will now be working hand-in-hand with brokerages to provide yacht-specific wedding planning services. Acting as a unique liaison, we look forward to creating a stress-free opportunity for brokers, captains, provisioners, and clients alike. All photography provided by Evan Rich Photography. Wherever you can charter a yacht, we will be able to host your wedding. With some exceptions in logistics, our services will span the USA, Canada, Bahamas, British and US Virgin Islands, Antigua, St. Maarten, St. Lucia and beyond. It is important for us to be able to provide you with the perfect vendors for your event. Being exceptionally connected in South Florida's events scene, we have a selection of vendors (photographers, videographers, entertainment and lighting companies, luxury rentals, beauticians, etc.) that we will be able to transport to your preferred destination. Ideally, you will want to house your guests in comfortable accommodations. If you have more than 12 guests, we recommend docking the yacht near a luxury resort or hotel for block rooms. 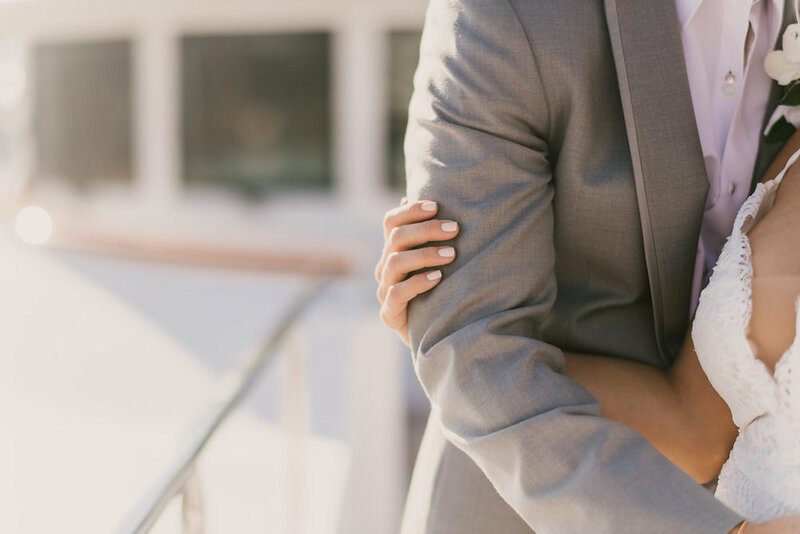 In conjunction with your charter broker, we will assist to find the perfect location for your nuptials. Coast Guard regulations do not allow more than 12 guests 'at sea' on charter but do produce special waivers for events at the dock. Having shore support, a stunning backdrop, convenient amenities, and a local airport to fly your guests in will all be essential in the planning process. ChieF STEWARDESS and WEDDING PLANNER. 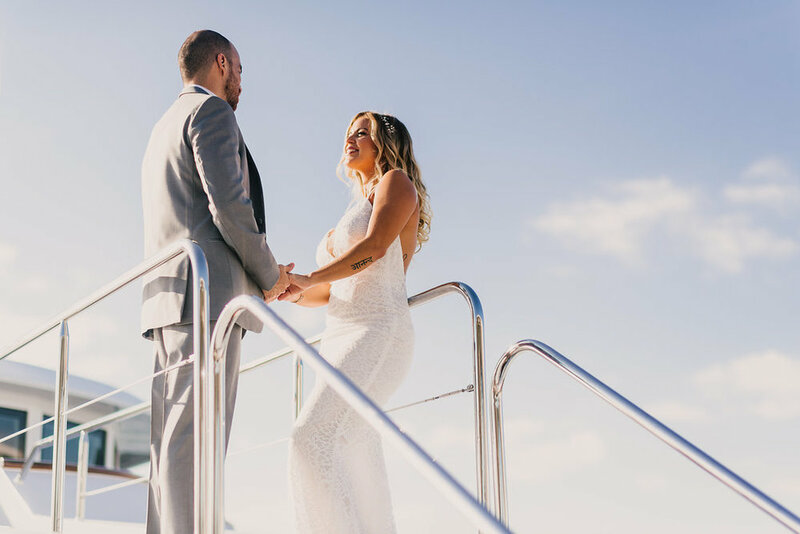 Abby Gallagher, the owner of Blue Ocean Events, has a unique background serving the luxury yachting industry for five years as a private and charter stewardess for yachts between 80 and 200 feet. 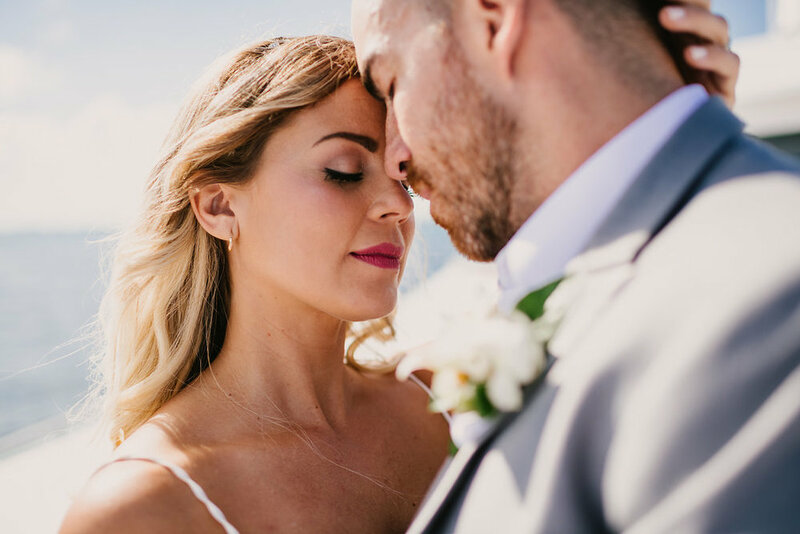 Two years ago, she launched a wedding planning business in South Florida, Blue Orchid Events, where she has successfully planned, designed, and managed dozens of brides' wedding. 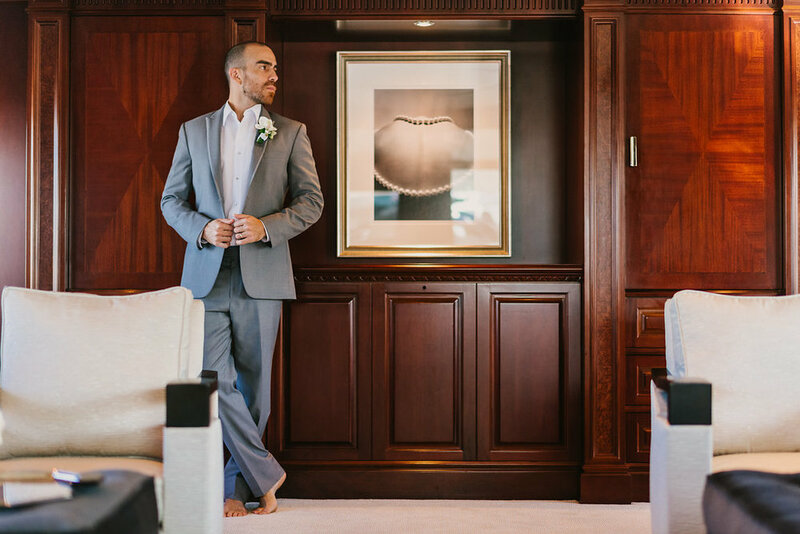 Originally, the goal was to bring the standards of luxury yachting to the land-based industry of weddings. Now the goal is to bring the talent and professionalism of the wedding industry to luxury yachting. Blue Ocean Events is one of the only liaisons between the two professional industries. Photos by Lara Rose Photography.